boiler | Desert Suns Heating & Cooling Inc.
Is Your Boiler in Top Shape? Winters here in New Mexico are cold and dry. You need a great heating system to combat these cold temperatures. Furnace systems are typically the go-to across the country, but when you battle against cold temperatures, a boiler may be the right system for your home. Although we’d like to install an HVAC system in our home and simply forget about it, this isn’t possible. Your heating system needs maintenance just like your car, and it’s a wise idea to go about these maintenance services before the winter season. 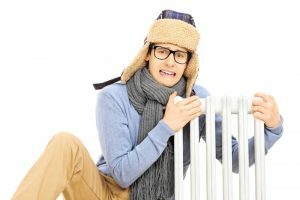 If you’ve had trouble with your boiler this winter and you need boiler repair in Santa Fe, NM then contact Desert Suns Heating and Cooling Inc. before your repair need turns into a breakdown. Posted in Heating | Comments Off on Is Your Boiler in Top Shape?